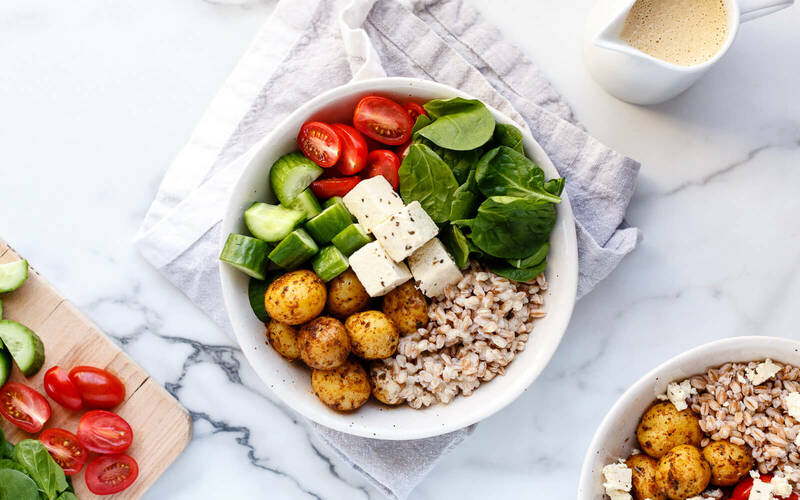 Tomato Basil Little potatoes, salty tofu feta, fresh vegetables, and a base of farro make for a Vegan Mediterranean Bowl that’s loaded with flavour, nutrition, and texture. Enjoy these vegan Mediterranean flavours in a bowl or a wrap! The Tofu Feta should be prepared a day ahead to allow adequate time to drain and marinate. Combine dressing ingredients in a blender. Blend on high. Taste and adjust seasoning as needed. Prepare the farro according to package directions. After boiling and draining, season with a drizzle of olive oil and a pinch of salt and pepper. 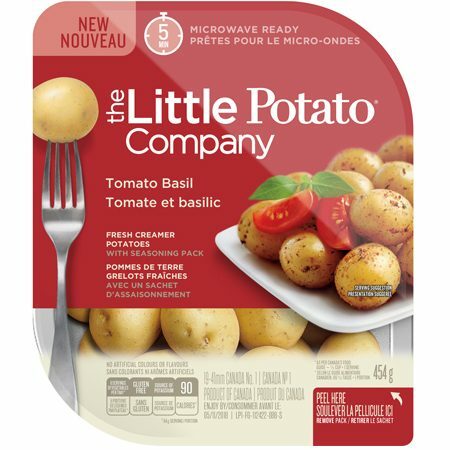 Prepare Little potatoes according to package directions. Take one cup of cooked farro and top with 1/4 package of potatoes, chopped cucumber, halved tomatoes, and a handful of spinach. Top with a drizzle of dressing and 1/4 of the tofu feta.